In our former post we discussed “hot” essential oils. 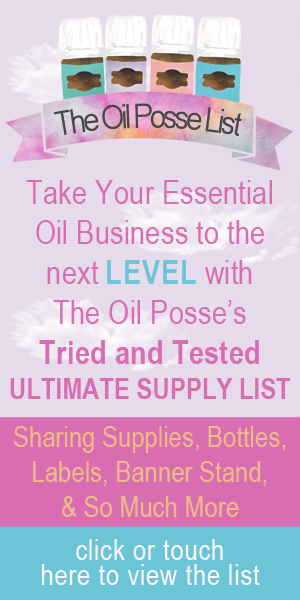 This post will expand on that and list those essential oils, which are considered to be “warm” oils. 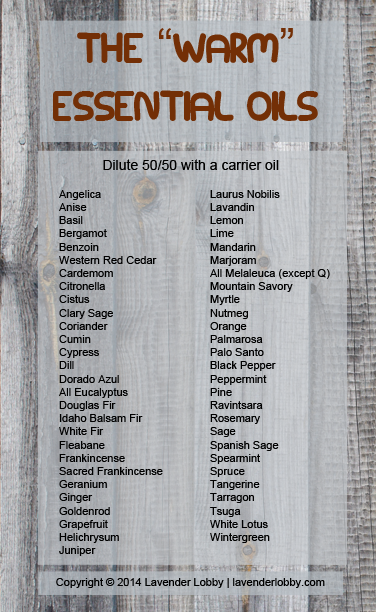 Again, not everyone “feels” the same so you may be someone who can handle any or all of these oils without diluting . . . just remember to err on the side of caution and allow those who are new to essential oils to know about the “hot” and “warm” oils so he/she can proceed with caution . . . start with diluting and work toward “neat” if he/she so desires. The following single essential oils are considered “warm” — this means they may feel warm to the skin and/or mouth. They can also cause a burning or warm sensation if they get into your eye — if this happens, flush with a quality carrier oil — such as an organic, cold-pressed olive oil. Do not flush with water, as water will push the oil deeper. Essential oils “attach” to the fat in a carrier oil. 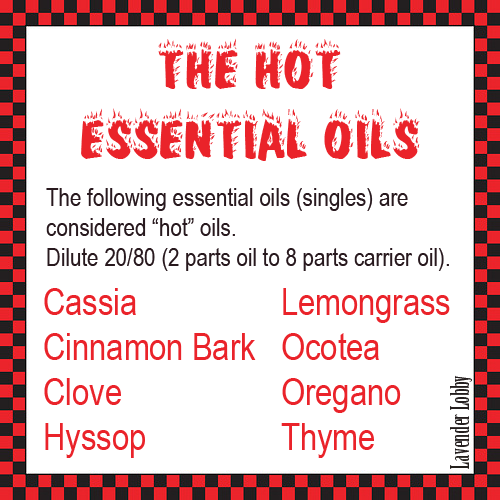 If you did not see the post listing the “hot” oils click/touch here. This entry was posted in Essential Oils, Skin and tagged Carrier Oil, Dilute, Essential oils, Single Oils, Warm Oils, Young Living on December 30, 2014 by Jordyn Lei.